So you are up and running with your amazing eCommerce site. You have sales and clients and things are going great, but at some point, things may start to get a bit stagnant. depending on how often you get new inventory, it is possible that things can start to get stagnant. With any website, you want to be adding fresh content often to keep it relevant and showing up in search results. Adding a blog to your eCommerce store is an excellent way to produce fresh content and help improve your SEO ranking, along with so many other benefits to your business. First and foremost, blogging will help your SEO ranking. When maintaining a regular blog, you are showing Google that your site is being regularly updated and adding new pages, which makes Google happy! Along with making Google happy you are also providing numerous opportunities for internal linking, which Google also likes! You can use your blog to rank for new and different keywords related to your business as well. Create posts related to your business, that answer questions people who would purchase your products may be asking, and get those people on your site and their eyes on you! While blogging can help you rank and get more eyes on your goods… It can also be a great way to earn even more income! Depending on the direction you want to go with your blog, you can run ads where you can earn some extra income simply based on your views and click through… Or you can even grow your blog to the point you are taking on sponsored posts ( related to your niche of course). There is never anything wrong with diversifying your income streams, and a blog can be a great way to do just that! One of the best ways to increase your sales and really retain clientele is to make sure they are invested in you as a brand. Utilizing your blog to tell them your story can lead to them feeling more connected to you and wanting to support your brand through return patronage. Stories tend to give people an emotional reaction, and when they feel an emotional attachment to you, and when they are emotionally invested, they want to support you in any way they can. You don’t have to just feature your story though. A blog is also an excellent way to help your clients and teach them important lessons. Make sure what you help and teach are all relevant to your products. You can answer frequently asked questions for your industry, explain the uses of a particular product, or even have tutorials on the proper use of your products. Not only will these posts greatly benefit your client base, but they are also excellent ways to help your SEO ranking! Blogs are more likely to get shared on social media than direct links to your products. People like to share funny or useful posts, so having well written blogs on your eCommerce site can help increase your circulation and expand your social media presence ( of course, just make sure you have social sharing icons installed). 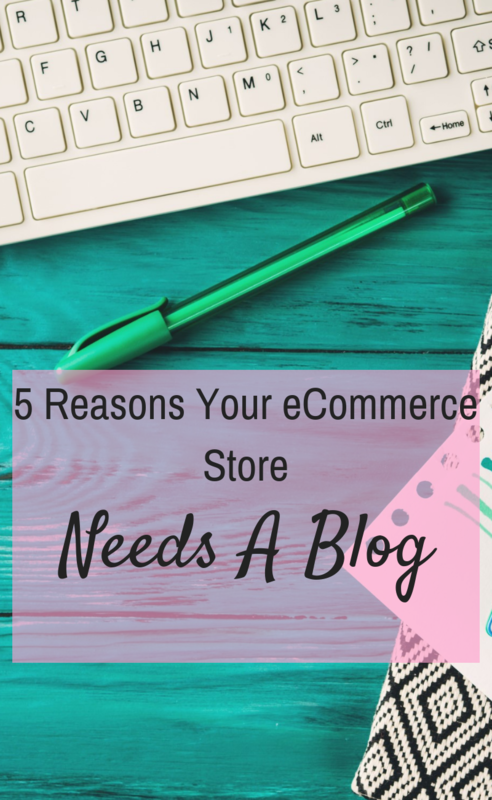 If you are still on the fence about adding a blog to your eCommerce store, I really encourage you to go ahead, jump off that fence and dive right in! Blogs are wonderful for SEO, connecting with your clients, getting your social media presence up, and so much more! If you want to talk about adding a blog to your eCommerce store, the experts at ProductCart are here to help you every step of the way!